A treasured gift you can make for a young child. or an excellent project for a youngster under your guidance. 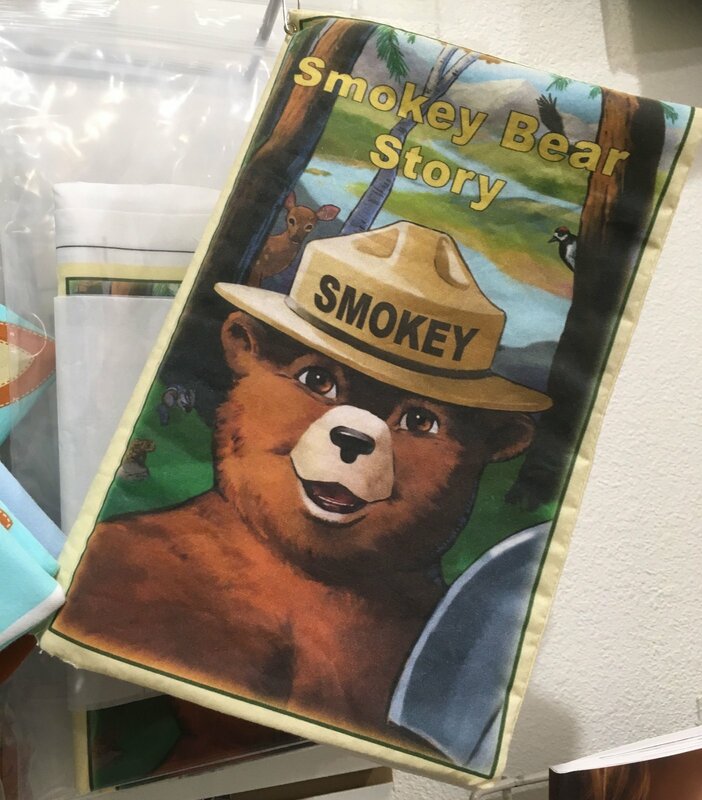 14 colorful, numbered panels and text of the Smokey Bear story are printed on 100% cotton material. Non-toxic and made in USA. Ready to cut out and sew, and possibly customize with batting. Easy to follow directions included. Finished cloth book approx. 10" x 7".